This is an Internet Tips regarding SEO - Search Engine Optimization. Google Analytics is an unique Tool for analyzing own Website in depth with Free. Only Website Owner or a permitted user can be allowed to access to Google Analytics of Website, in which you can track and see all traffics with geographically. You use filter to count daily, weekly, monthly or customize date Visits and Views to your Website or Webpages. It is a free service by Google to every website owner by simply passing an authentication method then you're the boss. 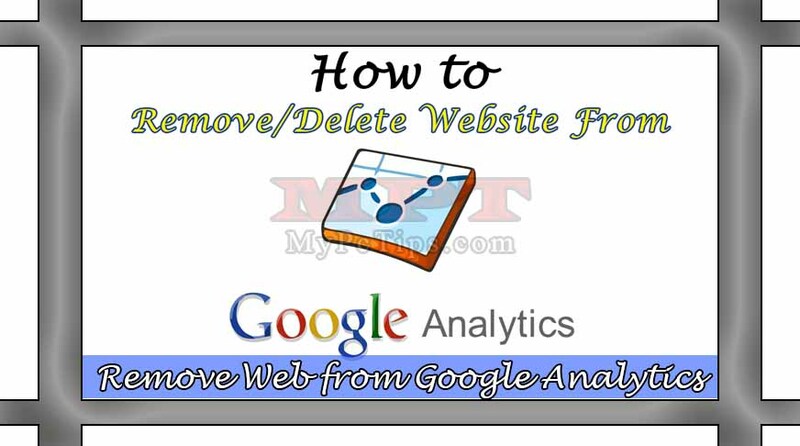 So, basically this post is about Deleting Single Website from your Google Analytics Account, because the method for erasing website is a bit difficult due to which I have decided to make a tutorial for it to help other mates and viewers of my website. So I have done it and you have found it and right now you're very near to start. 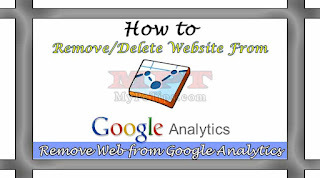 So in this post you can learn how to remove or erase your Website from Google Analytics Account which you do not need anymore in Analytics and also can you how to add new Website to Google Analytics Account. Visit "GOOGLE ANALYTICS" Website and "LOG IN" to your account. Click on "ADMIN" from Top Link Bar. At left hand side, Select your Website from "ACCOUNT" drop list selection. Now Click on "ACCOUNT SETTINGS" located just below Account. You will see "DELETE ACCOUNT" from Right hand side, just Click on it. In confirmation, Click on blue "DELETE ACCOUNT" to erase it. By deleting any Website Profile from Analytics please be sure you cannot undo this operation while you can again add your same Website there. How to Add Website in Google Analytics? After logging to Google Analytics, just go to "ADMIN" area by clicking on it. Click on "ACCOUNT" drop list then select "CREATE NEW ACCOUNT". Just "FILL UP" the required fields. Finally Hit blue "GET TRACKING ID" from bottom of page.